Inky Hugs: Hearts of the West November Blog Hop! Hearts of the West November Blog Hop! This months challenge is using the Yuletide Carol paper pack, brought to you by the new Annual Inspirations, hand picked from Nancy Klein. If you came from Holly's Blog then you're in the right place, this is a go around blog hop so you can start anywhere! Just in case, the full list will be at the bottom. So, as always, grab your coffee, tea, water, relax, and hop around the team with us. It is that time of year again and if you are a card maker you are well on your way making your Christmas Cards. 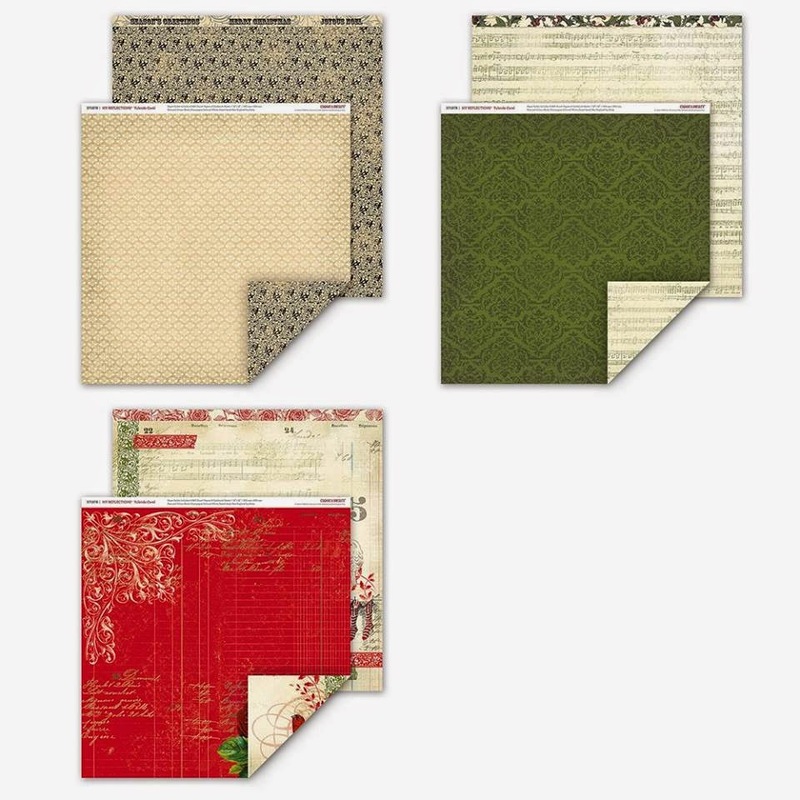 This paper pack is full of beautiful Christmas paper using traditional colours. The CTMH colours in this paper pack are: Ruby, New England Ivy, Desert Sand, Colonial White, Champagne, and Black. Here is what I came up for this month. I really Like how this 5x7 card turned out. Your next stop is Nancy's Blog. Here is the complete list of the participating blogs. thanks for participating and come back next month to see what these fabulous ladies have been up too using another new paper pack from the Annual Inspirations Idea Book! Beautiful card and fabulous colouring job! You really made those sprigs look real.